Earthworms benefit gardens in many ways as they move through soil creating spaces for air and water. But they also leave behind less familiar contributions — their castings. Earthworm castings, the end-products of worm digestion, are so useful some gardeners raise their own worms just to maintain a good supply of them. But worm farming isn't for everyone. If you want the benefits of castings without farming your own worms, products such as Pennington® Earthworm Castings deliver all you need in a simple-to-use, odor- and mess-free form. Earthworm castings are full of organic matter and desirable microorganisms that yield benefits far beyond what fertilizer ratios show. Pennington® Earthworm Castings contain low levels of essential plant nutrients, including iron, that are guaranteed not to cause fertilizer burn. The dark brown granules don't hint at their origins — their rich, earthy texture is reminiscent of fine garden compost or dry coffee grounds. Added to soil or potting mixes, the organic matter in castings improves soil structure. With more humus than traditional compost or normal garden soil, castings increase the water retention in soil, improve soil aeration and anchor plant nutrients that would otherwise leach away with water. Organic matter feeds soil microorganisms that produce, store and slowly release plant nutrition. Earthworm castings suit all indoor and outdoor gardens. Earthworm castings provide substances that directly influence healthy plant growth. Research conducted over several years at The Ohio State University Soil Ecology Laboratory found that worm castings enhanced seed germination, plant growth, flowers and fruit production. Castings also curbed certain plant diseases, including root and crown rots and wilt disease, and inhibited some insect pests, including mites, aphids and mealy bugs. In 2011, researchers at Cornell University Department of Plant Pathology and Plant Microbe Biology demonstrated that worm castings suppressed damping-off disease in seedlings. In addition, castings naturally degraded the protective covering of some insect pests, regulated plant nutrient release and stimulated the nutrient cycle from soil to plants. 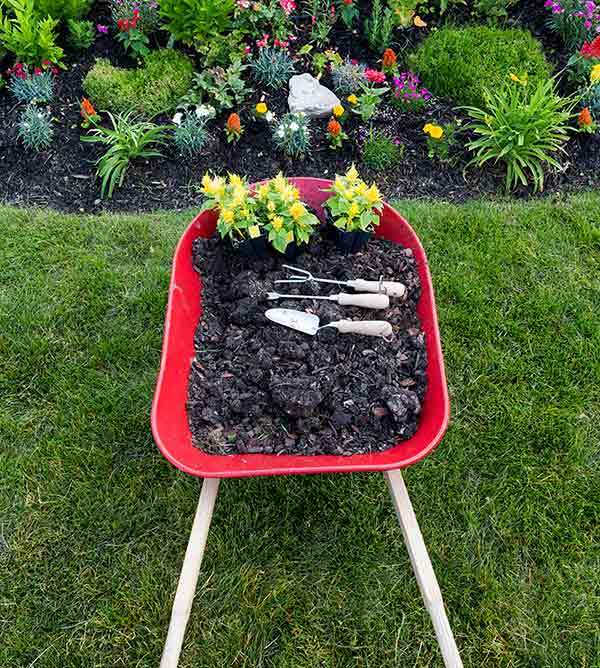 Using Pennington® Earthworm Castings is as simple as using traditional garden compost. Dry castings serve as soil-enhancing mulch, but their impact increases when they're worked into soil before planting or potting. Compost piles benefit from castings, too. Add earthworm castings at a rate of 1/4 to 1/2 cup per 100 square feet. Incorporate them into the top few inches of soil at planting. Reward your garden with extra castings when plants set buds and fruit. Apply additional castings around plant bases, gently scratching the granules into soil to avoid disturbing plant roots. Blend 1/4 cup of odor-free earthworm castings into your potting mix for every 6 inches of container diameter. A standard 6-inch-diameter pot needs 1/4 cup of castings, while a 12-inch container calls for 1/2 cup. Replenish nutrients and stimulate beneficial activity with extra castings once per month. Apply a 1/8- to 1/4-inch layer of earthworm castings between each layer of compost materials (i.e., layer castings as you build your compost pile). Enrich your bin with fresh castings every two to three months. Water extracts the goodness from castings to create a nutritious and microorganism-rich solution known as casting tea. In 2009, the U.S. Department of Agriculture cited research which found that casting tea, like dry castings, increased plant growth and productivity while inhibiting insect pests and diseases. Some vegetables responded highly to casting tea, with up to a 50 percent increase in growth and yields. Add two cups of Pennington® Earthworm Castings to 5 gallons of water, directly or in a mesh bag. Let the mix sit overnight before watering plants with your castings tea. Gently work the wet residue into soil. Whether dry or wet, Pennington® Earthworm Castings deliver multiple benefits to plants and soil. The only reminder of their beginnings is the goodness they contain.